may your days be married + bright! Winter engagement shoots in Chicago can be either a walk in the park or just the worst... [Chicago weather in a nutshell] !! So when our handsome couple requested a snow filled photo shoot, we crossed our fingers and hoped for the best. Last Saturday's foggy, gray morning wasn't looking promising as we geared up for the shoot. 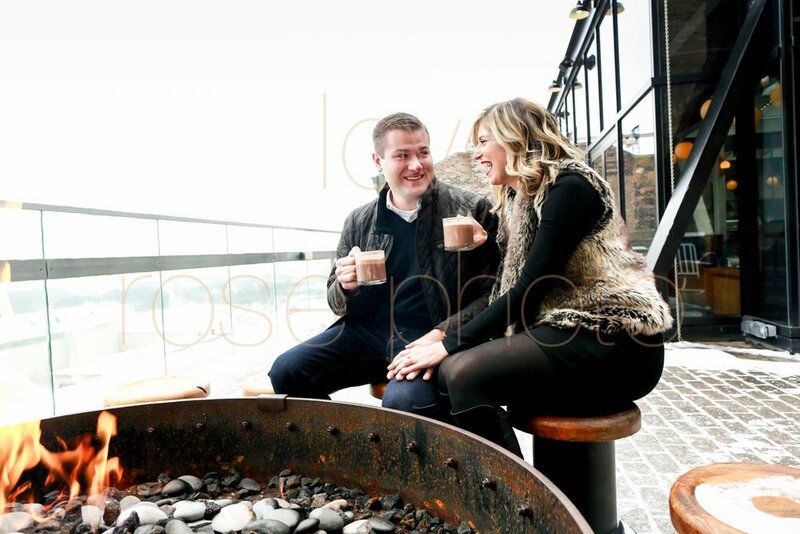 But with a little hot cocoa by the fireside paired with Kaitlyn + Dustin's endearing personalities, we hit it off right away at the Chicago Athletic Association. Warmed up with a little of that liquid inspiration that a spiked hot cocoa can provide, we strolled through Millennium Park, past Cloud Gate to Pritzker Pavilion and across the BP Bridge. Our shoot was quite literally a walk in the park, albeit a cold and misty one, it was lovely! 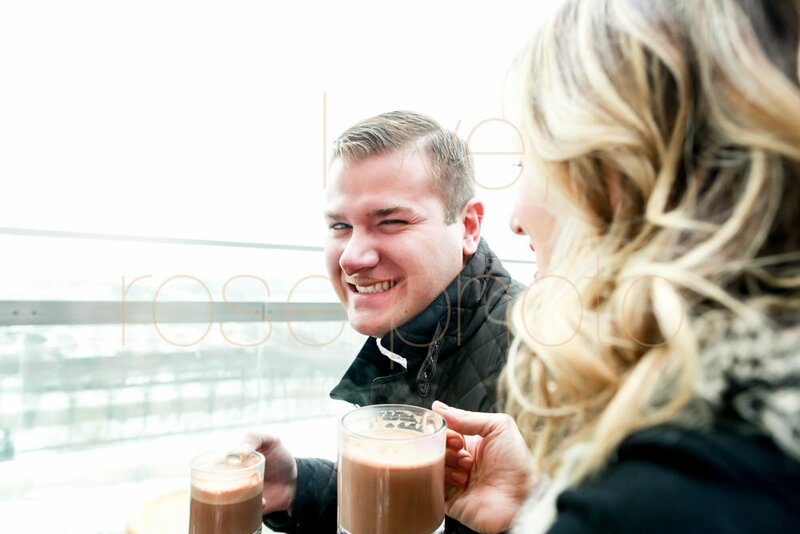 It's really fun to chronicle this chapter of our couple's engagement, no matter what the season. When we build our locations around our their style the imagery is even that more meaningful. 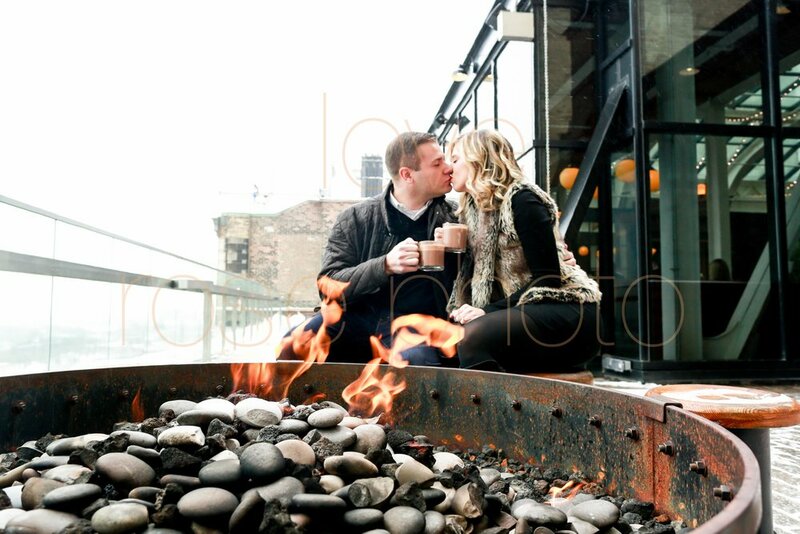 As winter in Chicago just gets started, we hold tight to keep warm with the ones we love this holiday season. Any Chicagoan knows the secrets to making it through a Midwest winter includes keeping warm + bright along with a fair amount of that spiked hot cocoa! To our sweet couple featured here and all of our wonderful Rose Photo fam, may your days be married and bright! Happy Holidays and stay warm out there! !